Contractor - Blount Brothers, Inc. Dynamic compaction was used to compact loose sand and gravel for foundation and slab support of a large hospital. The site was compacted using 9 ton weights dropped from heights of 50 feet. 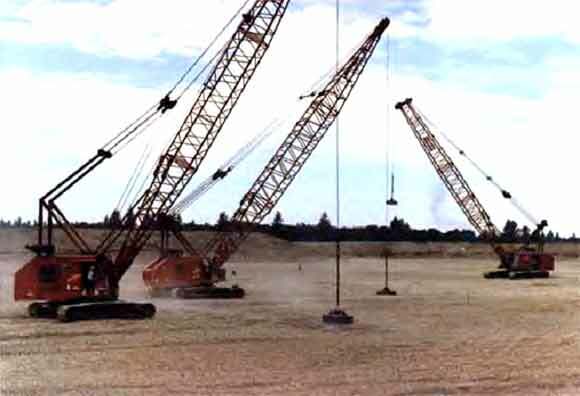 Three cranes were used to accomplish the work within the desired time frame. The work was completed one month ahead of schedule.